A new mini-feature starts this week here at Fic-U--the Afternoon Rewind. Monday, Wednesday, and Friday, I'll pull an article out of the archives that still offers useful advice, even if it's been gather e-dust for a awhile. Today's rewind is all about how titles affect our novels. I have a bit of a love/hate relationship with titles. They either come to me like bolts from the blue, or I spend months struggling to find the right one. Usually, the easier the title comes to me, the more well-formed the story idea is. When this happens, I know I've tapped into a critical element of the story, and that element will likely resonate throughout the entire novel. That's the power of the right title. The cliché says you can't judge a book by its cover, but readers do judge them by their titles. 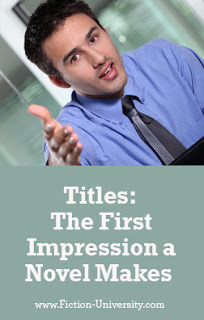 A great title will catch the eye and entice a reader to pick up your book, while a bad title will keep readers away or attract the wrong readers for your story. What emotion or mood do you want to evoke? Books that make an emotional connection with a reader get talked about and shared. Get a reader to feel something just by reading the title, and you're already a step ahead of the next book on the shelf. But it has to be the right feeling. You probably don't want to name your light-hearted romance about a seamstress something foreboding like, Three Days to Die. That's conveys a dark tone and sounds more like a thriller with a depressing ending. However, if it involves a handsome CIA operative who needs help on an undercover mission at a wedding, then Three Days to Dye suddenly becomes funny and hints at the type of book this might be. A romance that spoofs thrillers or even spy novels. Think about how you want readers to feel when they see your title. Do you want a laugh? A chill? A sense of anticipation or a moment of dread? The title will put the reader in the right emotional state to read the novel. What genre vibe do you want to give off? How often have you heard (or said) this? "That just doesn't seem like my kind of book." In many cases, the only thing these readers are going by is the title. Different genres have different styles of titles, and just like Three Days to Die sounds like a thriller or mystery, The Kingdom of Elvarnia has a fantasy vibe to it. If your title sounds like a different genre, odds are readers who like that genre will pick it up--and be disappointed. And those who like the genre you did write, might not pick it up at all. Think about the traditional naming conventions for novels in your genre or market. Aim for the right balance between originality and maintaining that genre vibe. 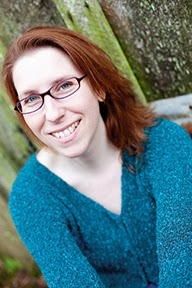 While you don't want it to sound like every other novel in that genre (remember Second Chances? ), you don't want it to sound like a book from a totally different genre either. What expectations do you want to put in the reader's head? The title makes an impression, and what that impression is determines what the reader will expect from the novel itself. This holds doubly true if they're looking for a particular type of novel. All they have to go on are visual clues like title and cover art. When you pick up a novel called Jaws you're going to expect a very different story than one called Tender Grows My Meadow. 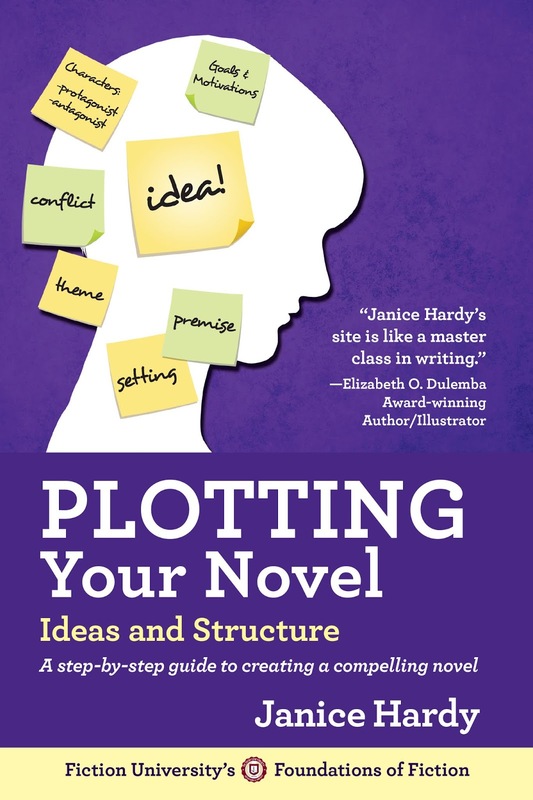 The title puts ideas in your head and suggests the kind of story you'll find within the pages. Think about how your novel title comes across to someone who knows nothing about the story. What might they expect based on nothing more than the title? Does it sound rough and dangerous like Jaws, or soft and reflective like Tender Grows My Meadow? Is there a person or place that captures the story, like the name of the main character, or the novel's setting, such as Will Grayson, Will Grayson, or Jerk, California? Perhaps the name is more descriptive like The Man Who Came to Dinner, or The Last Town on Earth. You might even combine then, as in The Old Man and the Sea. Does any one word convey what the novel is about? This might be a name, location, idea, or even unique story term, such as Unwind, or Coma. Are there words or ideas that don't seem to fit, and that contradiction creates an intriguing concept? Unusual combinations can create interesting concepts, such as Agnes and the Hitman, or Love in the Time of Cholera. Sometimes a line or phrase from the novel itself makes a great title, especially if it captures the essence of the story like The Fault in Our Stars, or Are You There God, It's Me, Margaret. Is there something that describes the story as a whole, such as Diary of a Wimpy Kid, or The Handmaid's Tale? Can you play off of a common word or phrase to evoke a different type of story, such as I'd Tell You I Love You, But Then I'd Have to Kill You, or The Outlaw Demon Wails? Is there a specific item that's central to the plot or story, such as The Raft, or The Da Vinci Code? Could the goal of the characters make a great title, such as The Hunt for Red October, or Quest for the Fallen Star? Does the theme capture the essence of the story, such as Catch-22, or Pride and Prejudice? Are there concepts the story focuses on, such as The Right Stuff, or yes, even Second Chances? Don't be afraid to mix and match these to see what combinations might work best. Maybe a conceptual setting, or a phrase that plays on words, or a contradiction in characters. Whatever title you come up with, don't forget to check it in an online bookstore to see if any other books have that title as well. How do you come up with titles? Do they come easy or do you have to work for them? Great post, Janice! I did a post a while back where I made up literary titles for some of the recent genre favorites (Dragons in Winter for Game of Thrones, When Faces Lit the Sky for Hunger Games, that kind of thing). It was great fun and illustrated exactly what you're pointing out here - titles matter! Thanks! That sounds like so much fun. That would have made a great contest, actually. Wish I'd thought of it! Those are great titles. Great post! I often struggle with this and have sometimes ended up having to change my titles to suit my publisher because of many of the reasons you point out above. This article was really helpful - thank you! Most welcome. I went through title trials on The Shifter, so I've been there as well. Good to have done, as I look at my titles a little differently now. That's probably smart since it allows you to see how the story develops before you're committed to something. I either nail it first try or it takes forever. and even then it still doesn't always work! Interesting questions to put to myself. I am NOT good at titles, although back in my non-fiction days, I sometimes felt--and still feel--that what I came up with was a whole lot better than what the editor chose. It's a skill like any other, and I think some people are just really good at it. My husband can toss them off the top of his head like they're nothing. Most welcome, I'm glad it helped. My favorite is "Hunting Trouble", about a slippery runaway and the bounty hunter trying to catch him. Egads, I don't even want to think about SEO and titles, though I suppose we are reaching a point where we should, even for novels. I'm still fighting it though.